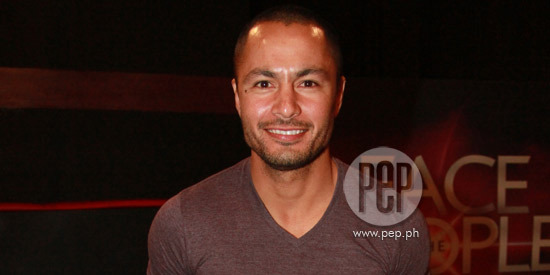 Derek Ramsay did not think twice when he was offered by director Mike Tuviera to be part of his Cinemalaya entry titled The Janitor. Derek recalled that he compelled his manager, Jojie Dingcong, to accept this project. “I have to twist Jojie’s arm to let me do it. Sabi ko, ‘Joj, you know I’m different from other artista. Ako, I wanna challenge myself,’” said the TV5 actor in a recent interview. Derek will join Dennis Trillo and Richard Gomez in this action-drama indie film. The Janitor is loosely based on a still-unsolved robbery that left ten people dead in a bank. It was previously reported that the character of Dennis is an ex-cop who launches a manhunt for the criminals. In his Instagram account, Dennis said about the film: "Ito po ay tungkol sa isang modern day assasin, tagaligpit ng mga makasalanan, kaya "the Janitor." As for Derek, he said about this role: “This one is what I’m excited about because hindi pa ako nakakagawa ng character na ganito ka-dark. Since the group has already started filming, Derek pointed out, “I’m preparing big time. “I’m really catching up big time with my Tagalog, I’m learning new words na bastos, salitang kanto, mga mura. “But it’s all for the character so, I’m really looking forward to doing this character. Although his character is very different from his own personality, Derek does not think it will affect his image. “I wanna look at it as an opportunity to show my versatility as an actor. “I’m not gonna say that I did a good job, but I’m gonna try na ma-deliver ang role na ‘yon. “You know, I’ve played dramatic roles, I’ve done horror, but I haven’t done anything like this. I’ve done action and comedy, pero ito kakaiba talaga," he concluded.